hen Super Bowl XLVIII weekend came around, thousands of people set up camp in front of their television sets surrounded by mountains of chicken wings and the drinks of their choice in order to ensure that they would not miss a minute of the action on the field. These few hours that cover the game have become the television event that garners the most viewers every year. And this explains why corporations scramble to get their ads in for halftime. Millions of dollars are paid in order to secure a sixty second spot in the few moments in which millions of people have directed their attention to their television sets. This year was no different as big name companies made their bids for the slots that would be available during halftime and went to the drawing boards to try and think of what they hoped would be the most talked about commercial after discussing this year’s Super Bowl. In this year’s Super Bowl extravaganza though one commercial stood out and caused a furry of online tantrums and declarations of love and approval. 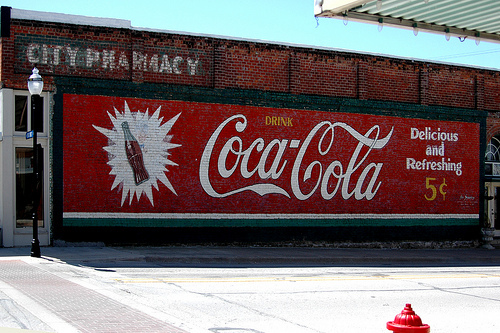 To the tune America The Beautiful, Coca Cola brought together Americans for all different ethnic background to sing a few lines from the song in their native language. As the lyrics of the song weaved their way through eight different languages, shots of different people from the various backgrounds doing American things come on screen. And as the bigots prepared their attack against an American song that should be sung in America’s national language: American, television screens were graced with the presence of a beautiful Muslim woman in full hijab garb. The “woman in the blue headscarf” is Rasha Zamamiri, who is an American Palestinian actress living in New York City. She is well known for her roles in movies such as One Night (2012), Sonnet for a Towncar (2010) and Sam & Amira (2014). Coming from a family of four sisters, Rasha moved to the city from New Jersey in order to pursue her dream. After attending High Point University in North Carolina, Zamamiri went on to take the role of Abir at the Humana Festival of New American plays. Zamamiri came across the casting call Coca Cola had put out for the commercial. “They had put out a casting notice looking for three Middle Eastern, Muslim, veiled or not veiled people that were siblings or could look like siblings,” she said. “A week or two later when I came across the casting call through the Noor Theater Company, I took a picture of my sisters and I and sent it in.” Zamamiri got the call to come in with her sisters for a screen tests a few hours later and was eventually cast to becoming the image of the quintessential Muslim woman for Coca Cola’s Super Bowl moment. 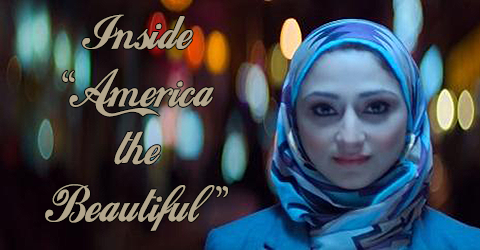 And while the commercial drew an amount of negative feedback from people who declared that American was a language and that the tune sung in the ad was the national anthem, Zamamiri was showered with love and support from an even bigger group of people. The commercial was defended by a brigade of people online who saw the message that it held. People from all walks of life took to their Twitter and Facebook accounts to defend the fact that America’s beauty lied in the idea that it was a melting pot of cultures and religions. The reaction was huge and the ad became one of the most talked about ads from the Super Bowl because Coca Cola took a risk. In an effort to tap into a completely different market with this advert, they took a calculated risk in hopes that the gains would overthrow the loses that they may incur from these sixty seconds. Whether or not it was a publicity stunt for sale, Coca Cola went with the final cut that is still collecting views on YouTube today. “They decided to take a chance and show America for what it actually is which is a melting pot of all religions and cultures,” says Zamamiri. “They do what they need to do to be talked about and I love that they showed an image of us in a positive light.” Everyone wins with this ad. It was a great experience for the sisters who also took advantage of this opportunity to help quell some misconceptions that came up in conversations with the executives and producers at Coca Cola. “When you aren’t a part of the society or the religion you know how it is, it’s a very confusing thing to them this veil. It’s a big question mark to them,” says Zamamiri. Being on set of a commercial about diversity only allowed for a platform of discussion among those working on the project to learn a little more about their fellow Americans. All in the spirit of portraying an all-inclusive image of what the United States of America is today, the conversations that flowed between producers and actors on set were an enriching experience in and of themselves. But that doesn’t take away from the fact that they embraced the Muslim community during one of the most important advertising nights of the year. There was a genuine curiousity and importance placed on having a hijabi in the commercial that both Middle Easterners and Muslims could relate too. Zamamiri believes that regardless of whether they had used the veil or not, the commercial would have still stirred up controversy for the different languages used in it. “.I think that’s the major controversy of the ad, the different languages,” she says. 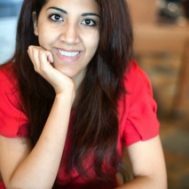 “So whether I was wearing it or not it would have been talked about.” She holds onto the fact that, regardless of the intent Coca Cola had when they decided to go with this concept, the opportunity arose for American Muslim women to be seen by the world in a positive light and that alone is a great achievement for the community.